All Hargrave yachts for sale worldwide are listed below, scroll down to view them. Hargrave Custom Yachts began its life in 1968 as a leading American yacht design firm, collaborating with major yacht builders such as Hatteras, Burger and Amels. Seeing the potential in their exceptional brand name, Hargrave repositioned itself in 1997 to become Hargrave Custom Yachts, quickly becoming America’s No 1 source of luxury custom motoryachts in the 70 ‘-135 ‘size range. With more than 50 yacht launches under their belt, Hargrave Custom Yachts now averages fourteen to seventeen yachts under construction at one time, with a strong line of new models under development and an excellent repeat client rate, with more than 50% of clients commissioning a second Hargrave Yacht. A rigorous approach to cost-effectiveness and innovative techniques ensures that Hargrave Custom Yachts come in on budget every time, and Hargrave Yachts for sale are known for their good resale value. Because their yachts are custom-designed and custom-built, Hargrave Yachts for sale has a reputation for building strong client relationships right through the life of the yacht, from the very first conversation through to launch and far beyond. Hargrave Custom Yachts also has a brokerage and chartering division, ensuring that this family-run business has the solution for you whether you are buying, selling or chartering a yacht. Hargrave Custom Yachts is located in the global yachting hub of Fort Lauderdale, Florida. 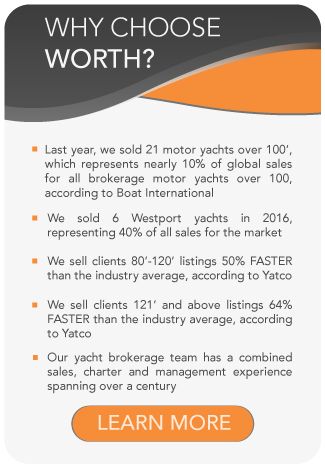 Hargrave Yachts for sale also has a representative in China, and exhibits their yachts and services at international and national yacht shows. Hargrave Custom Yachts are fully custom designed and built, working closely with every client to ensure that their custom yacht dreams become a reality. Creating a range of yachts from the 68′ Classic Flybridge to the magnificent 136-foot Tri-Deck, Hargrave Yachts caters to the client’s design dreams, whether it be a European-style inspired Capri-series yacht or a sleek and modern model. Contact us today to explore our available Hargrave yachts for sale, or to discuss a Hargrave new-build.